At Banner Medical Group, you’ll have the opportunity to perform a critical role in the community where you practice. 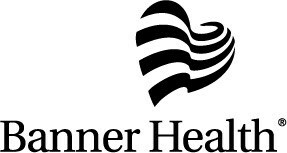 Banner Medical Group provides both primary and specialty care throughout the seven states in which Banner Health operates. We do this in a variety of settings – from growing practices along the Northern Colorado Front Range and Banner Medical Clinics in rural locations in Nebraska, Wyoming and Nevada to large multi-specialty practices like the Banner Arizona Medical Clinic and Banner Pediatric Specialists in the metropolitan Phoenix area. BMG currently has more than 1,300 physicians and Advance Practice Providers and is experiencing growth in all locations to enhance our ability to deliver our nonprofit mission of providing excellent patient care. Banner’s nonprofit Mission, Values, Vision and Brand statements serve as the foundational language for our organization. Together they guide decision making, define organizational behavior, set the standards for our day-to-day work, and drive high-level performance so that we may achieve our goals. “We exist to make a difference in people’s lives through excellent patient care.” This Mission statement focuses everyone in the organization on a singular purpose – excellent patient care. Banner Health has a goal. By 2020, our goal to be an industry leader. We are confident that we will reach this achievement and strongly believe we are well on the way. We have already received national recognition for our commitment to medical excellence provided by the best people.